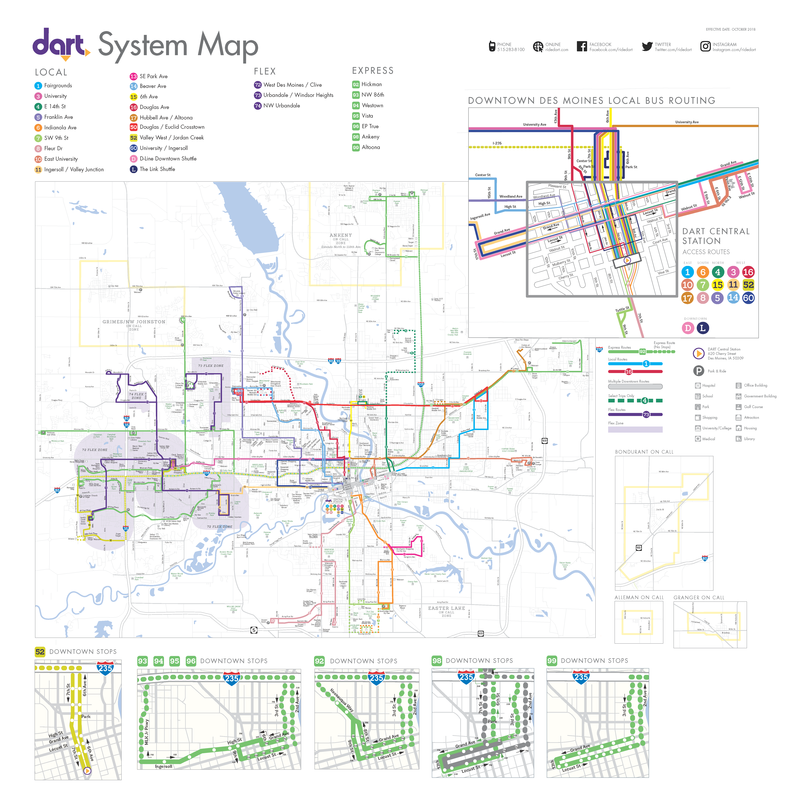 The Des Moines Area Regional Transit Authority (DART) operates a family of transportation services that make getting around Greater Des Moines easier and more convenient. Our fleet of 90 buses travel more than 15,000 miles daily throughout the region, making trips to shopping malls, major business districts, residential areas and schools. Please click the map below to zoom and view the full scope of our bus routes. Download a PDF of the complete System Route Brochure.